Your Celina dentist, Dr. Angela Ganjoor offers two types of professional teeth whitening that will give you great results. The LumiBrite in-office whitening system utilizes both a desensitizer and specialized whitening agent to effectively whiten your smile in a reduced amount of time (about an hour). If you want to take things just a little slower, so that you’re in complete control, at-home whitening kits can deliver results that will have you proudly grinning from ear-to-ear within two to four weeks of daily treatment. Some people are interested in natural whitening methods. Though we don’t recommend these as viable options for true teeth whitening, it’s interesting to see what some people will try. Have you ever rubbed the gel from an Aloe Vera plant on your skin to soothe a sunburn? You may be surprised that this compound is sworn by some to be a whitening miracle for the teeth. In fact, research is compelling enough that some companies have started to add Aloe Vera extract to oral hygiene products. The good news is that Aloe Vera will not expose your teeth to any dangerous or abrasive elements. However, if you are pregnant, steer clear, as this plant has been shown to induce contractions of the uterus. Go ahead – do your best impression of a gorilla and rub your teeth with the inner side of a banana peel just before you brush? Will you see any significant whitening, or just end up with banana breath? 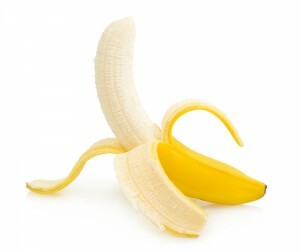 Realistically, probably nothing too dramatic, but two minute banana peel sessions each day might yield slightly whiter teeth, due to exposure to the high quantities of potassium, magnesium, and manganese. Teeth Stains Driving You Nuts? Coconut oil has been studied for its’ hearth health benefits and even as a fighter of the bacteria that cause gum disease. People who use coconut oil as a mouthrinse, swishing about a tablespoon of the oil around in their mouths, have noted some teeth whitening (and possibly less periodontal disease). Unfortunately, you may need to indulge in this process for 20 minutes each day to see any noticeable brightening. If stains or dull coloring make you unhappy with your smile and you’d like to learn more about teeth whitening, then schedule an appointment with Dr. Ganjoor at our Celina dental office by calling (214) 851-0130. Located in the 75009 area, we serve patients of all ages from Celina, Prosper, McKinney, Frisco, Anna, Pilot Point, and the surrounding areas.